Starting at a young age, Sean has always had a desire to share the thrill of adventure with friends and family. 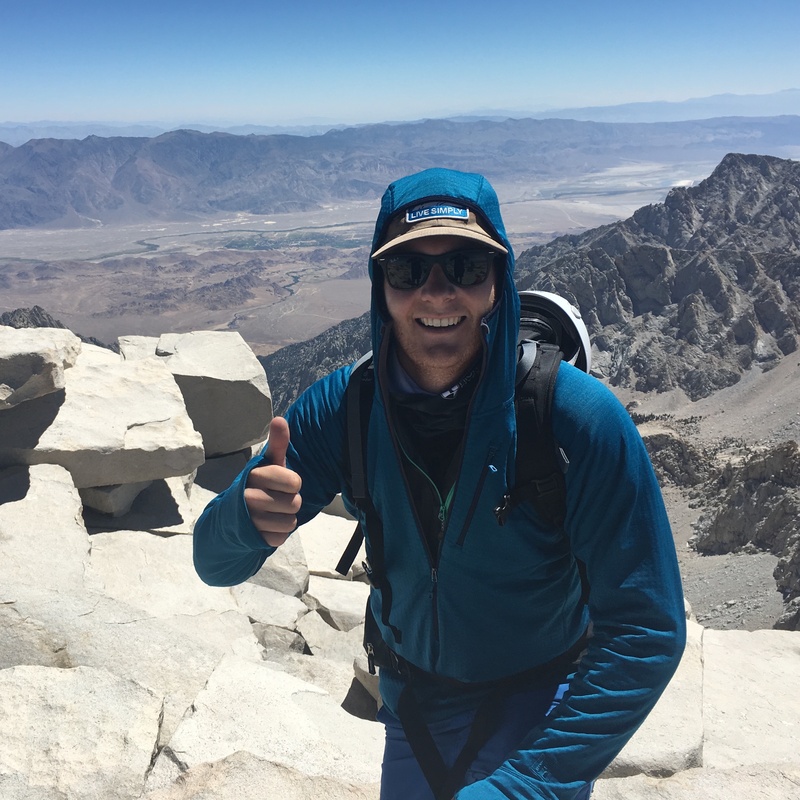 Starting in the mid 2000’s Sean had a short but fun filled guiding career based in San Francisco, California where he led clients up to the high alpine areas of Tuolumne Meadows for weekend long backpacking excursions. If you ever get the chance, ask him about the time he was hired to search for pirate treasure on Bunny Wailer’s property in Jamaica. True story. More recently he spent 7 years working at Squaw Valley Ski Resort. First as a ticket sales employee skiing every day, before moving up the ranks and working in the marketing department for 5 years. 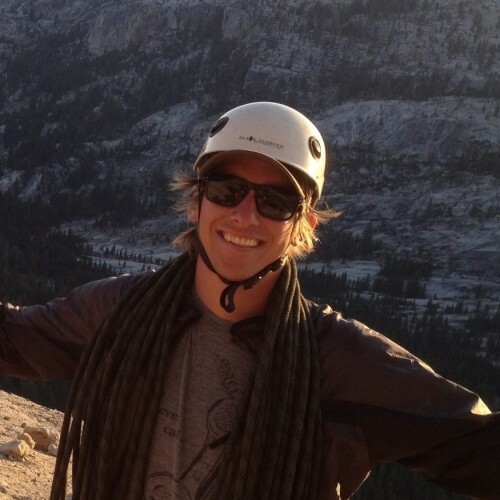 Sean brings his knowledge of outdoor industry marketing as well as his easy going personality to the world of sales. In November of 2017 he was able to join an Alpenglow Rapid Ascent team that climbed Cotopaxi in Ecuador. This was his first summit above 14,000′ and even his first time in crampons! Give him a call sometime, he’d love to hear from you. 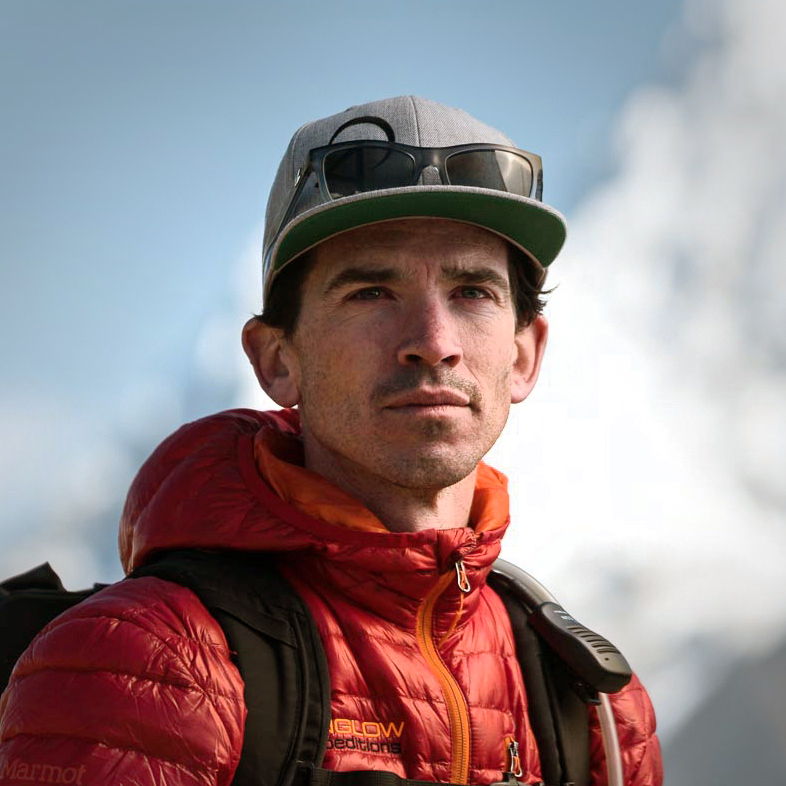 Born and raised in Northern California, Sam began exploring the Sierra and developed a love for the mountains at a young age. 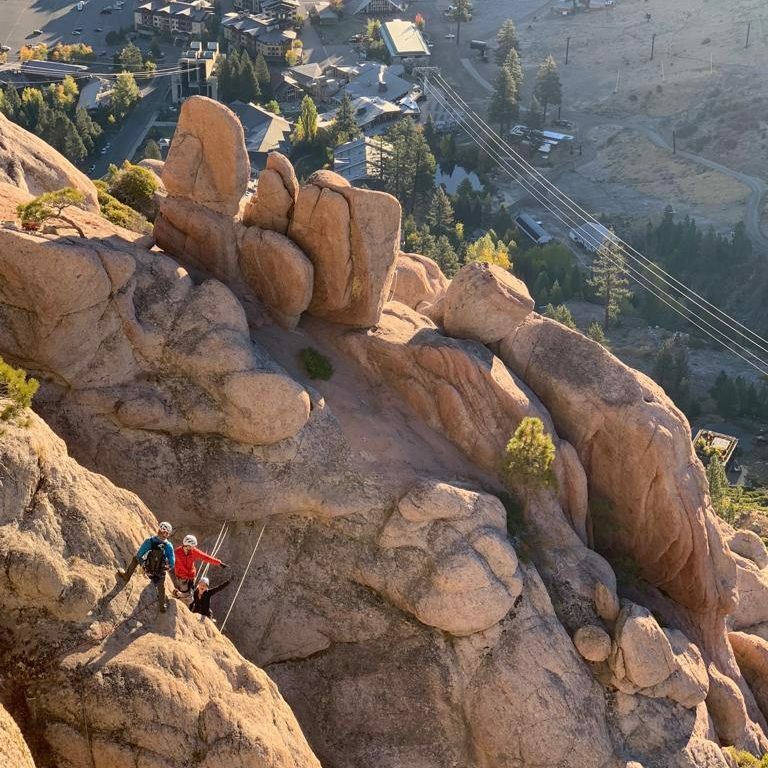 A Squaw Valley Alpine Meadows passholder for more than 20 years, Sam is excited to share his passion for Olympic Valley with clients on the new Tahoe Via Ferrata. In the summer, Sam jumps out of bed at the crack of dawn for pre-work waterskiing on Lake Tahoe and in the winter, he’s searching for fresh turns in the West Shore backcountry. Sam is always down for a new adventure, which lately has been rock climbing. After Will’s first ever outdoor rock climb in Slovenia, he was hooked and knew he wanted to pursue a profession in the Mountains. 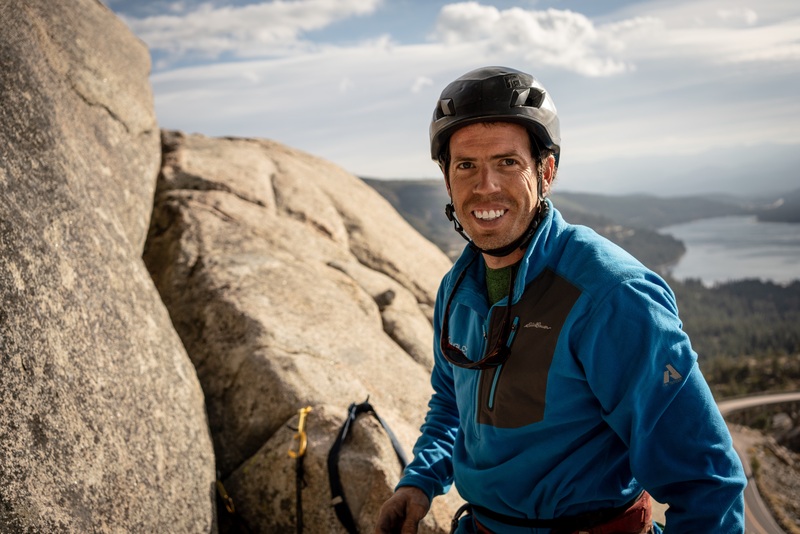 In the subsequent years he worked on honing his craft on rock and enjoyed the places and adventures climbing brought him. 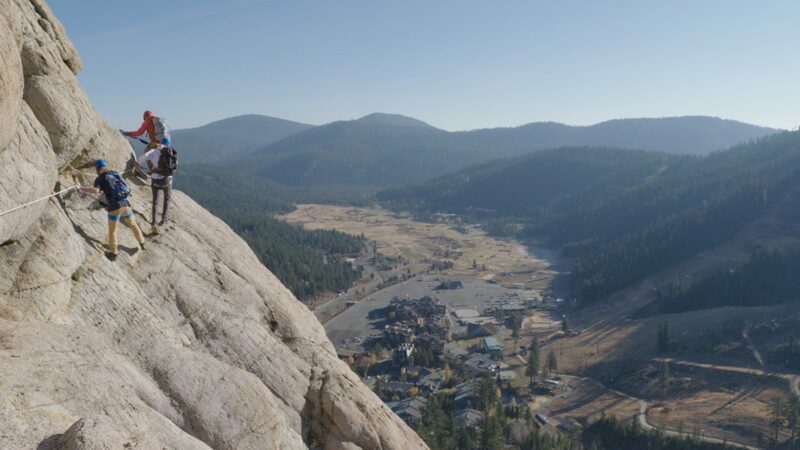 Will has traveled to many mountains all around the world since his first taste of climbing, but always seems to call the Sierra his favorite place on earth… so far. 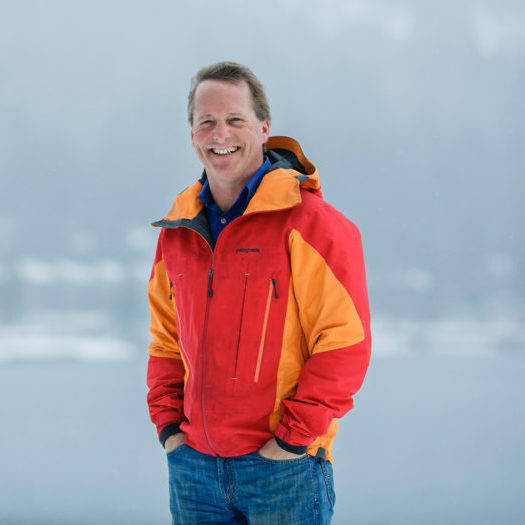 Will has seen the transformative power of the mountains first hand and works to provide experiences to his clients that will challenge their comfort zone and their perception of possibility. Whether this comfort zone is going for a long hike, or spending 5 nights on the side of a mountain, the power of stepping out is undeniable and in Will’s point of view essential for a well lived life. Will spends his summers guiding on Mt. Shasta, Tahoe, and the Sierra and when winter comes around you can find Will on his splitboard practicing shinrin-yoku in the trees and alpine zones of Lake tahoe and Japan. Will also considers himself a nerd for snow science and will be happy to explain temperature gradients and avalanche problem types to those ready to learn. Will is currently pursuing his IFMGA certification and is an Apprentice Rock Guide and will be an Apprentice Ski Guide January 2019. Scott, originally from the land of Oz came to the U.S after stints of skiing and climbing throughout Europe, New Zealand and Japan seeking the original mountain man lifestyle and fell in love with Squaw Valley at first sight. Scott has been a pro patroller at Squaw Valley & Falls Creek (Victoria, Australia) for 10 years. 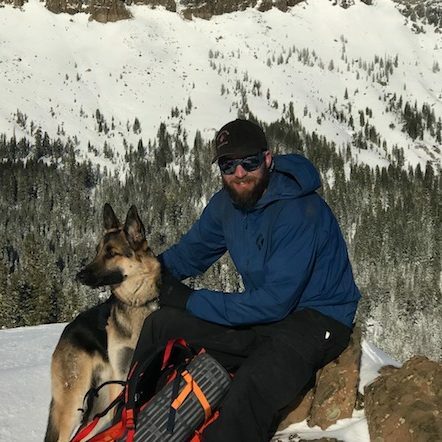 He is a certified avalanche control route leader, assistant patrol dog handler, California licensed blaster, an AMGA SPI and an AIARE Instructor. 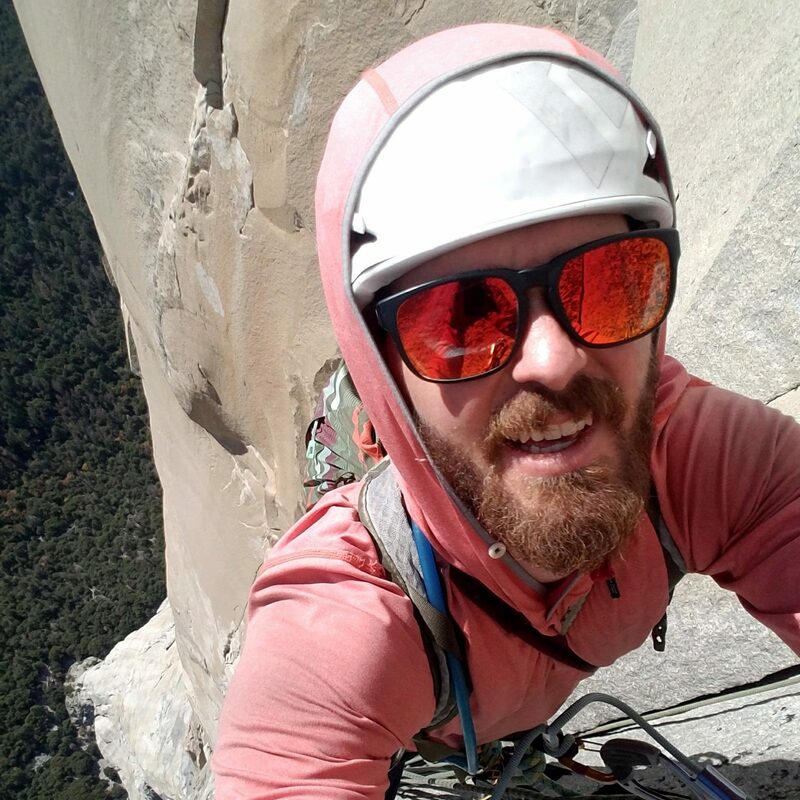 After 10 years of seeking out continuous winters he decided to get back in the climbing game and has been enjoying the sun on his back all summer while showing guests his love of Squaw and the Tram Face. 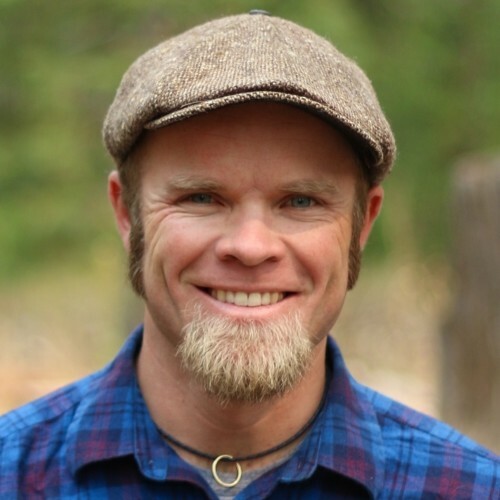 When not enjoying everything Squaw has to offer you can find him on the golf course or a skin track with his wife Hannah and their fur baby, a rescue German Shepherd named Dingo. Tailer is a young aspiring mountain guide, with her focus on becoming one of the first few certified female splitboard guides. Tailer started as an intern with Alpenglow Expeditions during the 2017-18 winter and is on the path of AMGA education. She has “tailed” many groups with the Alpenglow team, and also helped out around various aspects of the business. 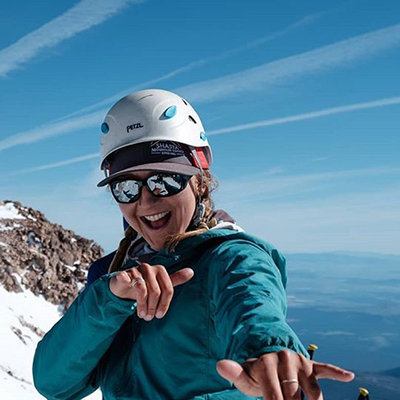 During spring and early summer, she guides on Mount Shasta, teaching clients mountaineering skills. 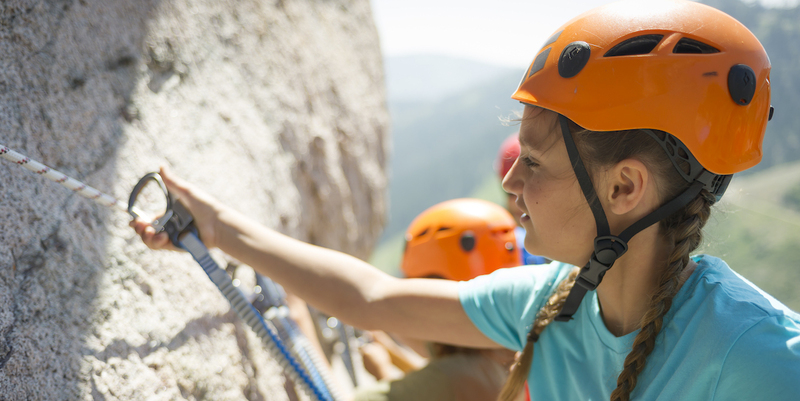 She loves sharing the outdoors with others through snow sports as well as rock climbing. 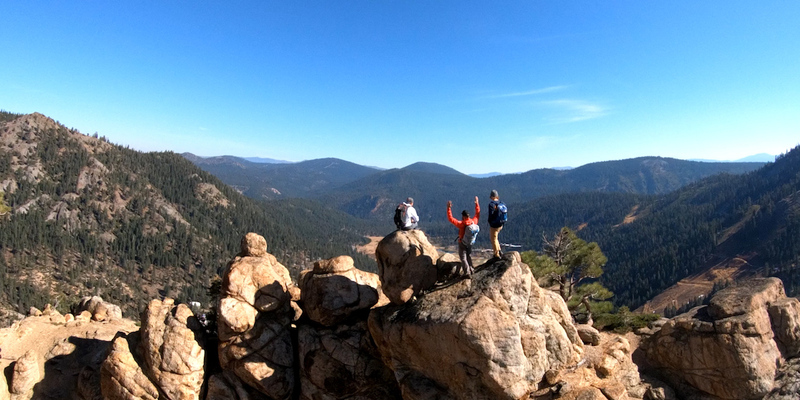 Nothing charges up her spirit more than showing people how much fun you can have in the mountains; all while maintaining safety and incorporating leave no trace ethics. 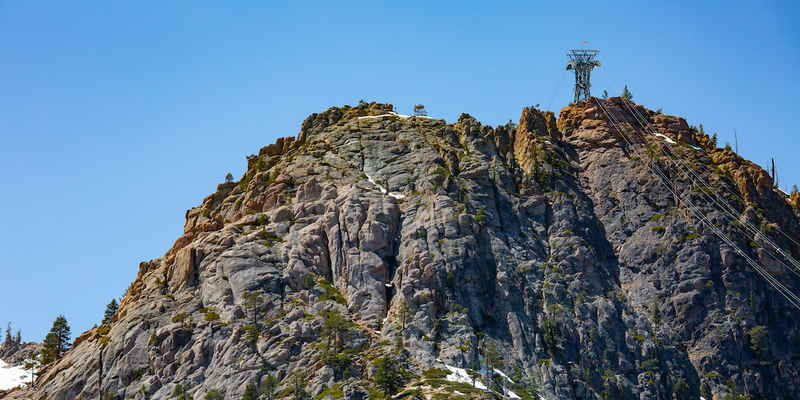 This is an absolutely incredible addition to Squaw Valley and Lake Tahoe. Truly WORLD CLASS experience. From Sam K in the main office, to Scotty and Sydney (our guides), everyone was wonderful. The staff knows their stuff and the actual experience of standing on and traversing across the fabled Tram Face, unreal! This is not just a Tahoe "must do," but one for California! I am not going to lie I am a little scared of heights, and I had so much fun! Our Guides were amazing, and to experience the tram face this way was absolutely unforgettable. With no hesitation I would recommend you do this. This was so much fun! My guide Sam was awesome. He really took the time to explain everything and lead me though the course safely. This was my first experience doing any climbing other than 3rd class scrambles. I'd recommend this to experienced climbers looking for a fun afternoon or someone who's simply looking to climb for the first time. The staff and owners of Alpenglow are serious cool people! I'm looking forward to more adventures with Alpenglow in the future. This was without a doubt the best thing we've ever done at squaw, and we are Lake Tahoe regulars going back 20 years. Unbelievable that we can climb this part of Squaw. Exhilarating but felt perfectly safe the entire time. Want to take all our friends here! The entire family, from my 13 year old cousin to my 65 year old mother in-law, really had an awesome experience on the Sundial route up Tram Face. 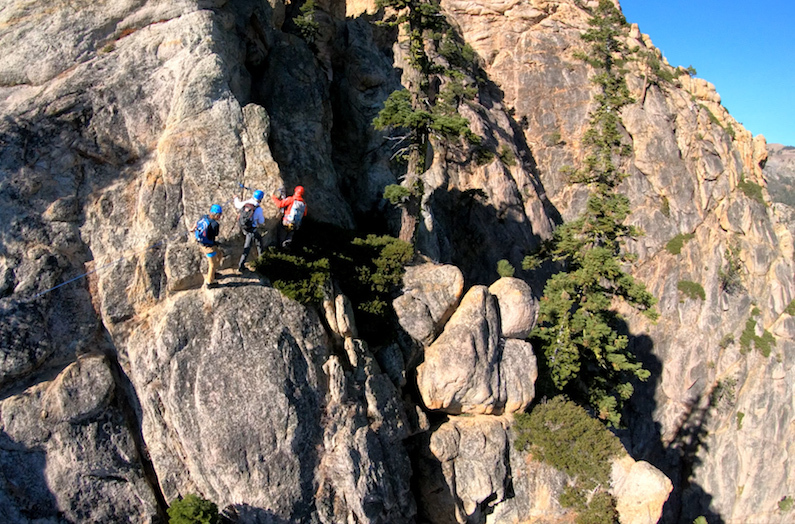 It’s challenging and exhilarating with expansive exposed views. The entire trip from beginning to end was enjoyable. If you’re looking for something a little out of the ordinary it’s well worth every penny. Alpenglow Expeditions does a fantastic job of making the climb safe and fun. Cannot recommend them enough!